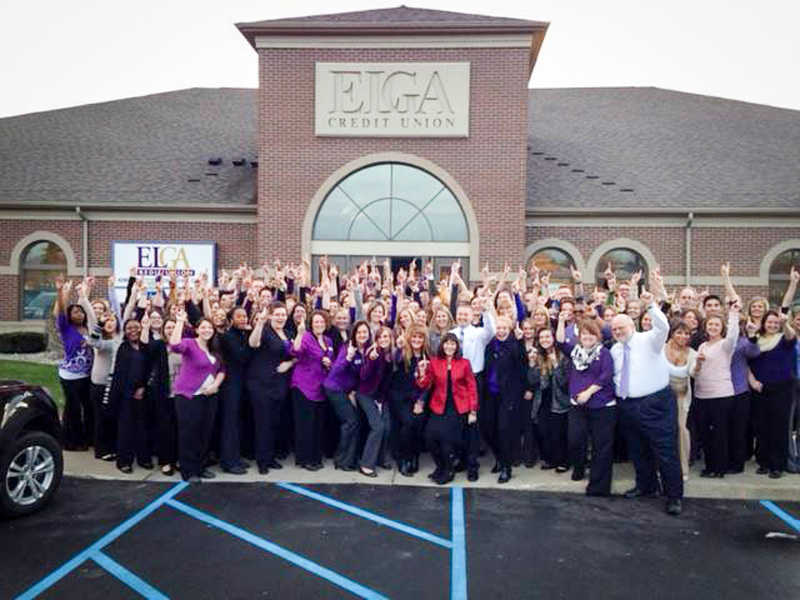 ELGA Credit Union is not your typical financial institution. Nestled in communities such as Flushing, Flint, Burton, Goodrich, Fenton, Lapeer, Clio, Davison and Saginaw, are those eye-catching purple and gold ELGA Credit Union signs. However, it’s the philanthropic-minded people inside the buildings and their humanitarianism which make the organization special. “We’re about educating, embracing and working together with our community partners to make a difference in people’s lives. 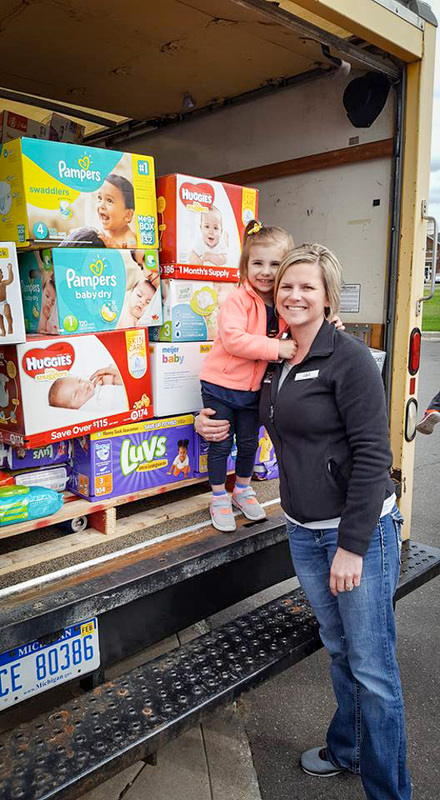 We serve the underserved and donate in the form of time, education, effort and, of course, money,” says ELGA Public Relations Manager, Cheryl Sclater, who began her career as a teller and says she’s an, “old 1970s banker,” who is proud to have evolved with ELGA’s continually growing community outreach efforts. 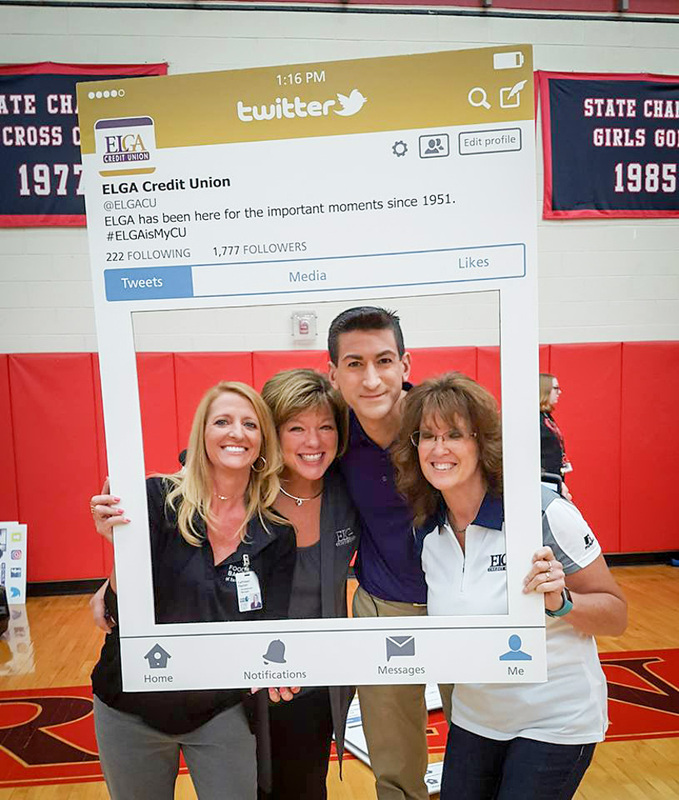 ELGA Credit Union has become synonymous with events such as the ABC 12 Diaper Drive, Relay for Life, Stuff-A-Blue-Goose, Bowling for Kid’s Sake, Back to the Bricks, and various other community events, and of course, their popular student-run credit unions located inside dozens of area schools. 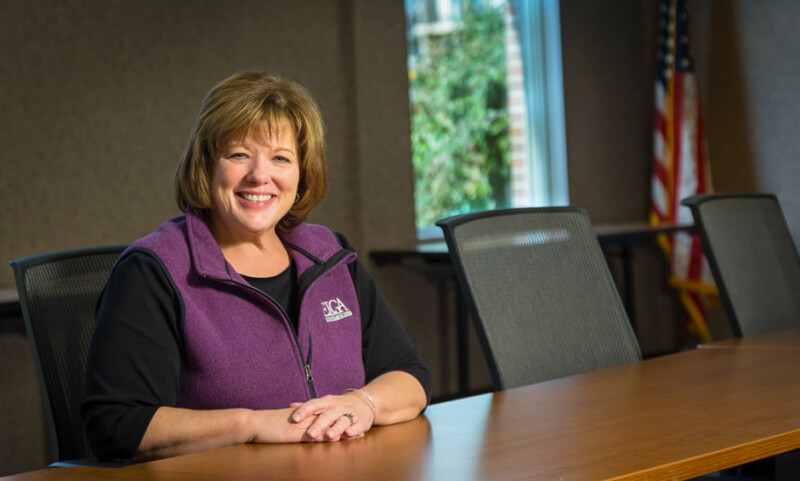 Getting people to take action is Sclater’s specialty at ELGA. 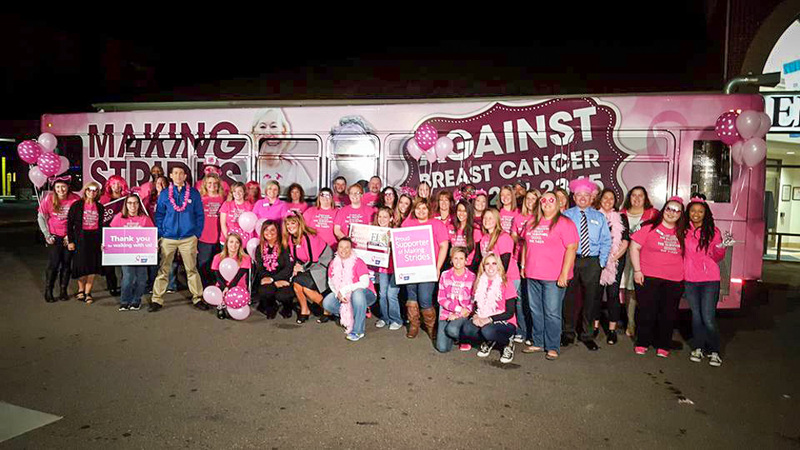 For example, when Centralized Lending Manager, Mallory Hazard, approached Sclater about her desire to take part in Flint’s Making Strides Breast Cancer 5k Walk, Sclater was all ears. After losing her mother to breast cancer, Hazard wanted to make a difference for those who lost their cancer battles, current fighters and survivors. So, ELGA partnered with the American Cancer Society and helped bring awareness and funds to a cause near and dear to Hazard’s heart. Those words set in motion ELGA’s “Thanks For Giving a Swab” Bone Marrow Donor Registration Drive in late November. Mandock took ELGA Credit Union’s mission to educate the public to heart. 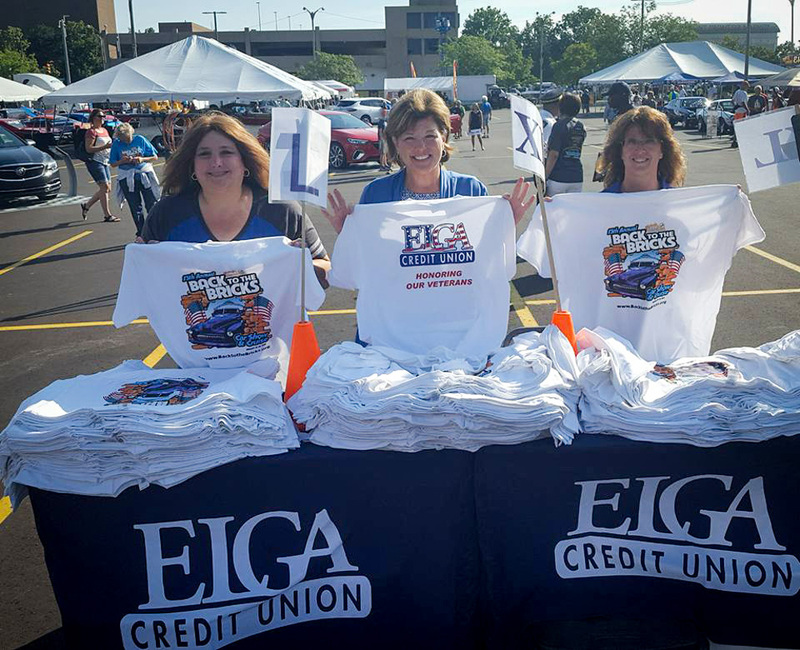 Sure, ELGA Credit Union has several branches in Genesee, Saginaw and Lapeer Counties to serve their members’ financial needs; but, their highly visible brand is best stated in their mission statement: People Helping People. ELGA derived its name from a 1959 contest held by Consumers Power Company employees. The name incorporates the first two letters of the words electrical and gas. ELGA originally served Consumers employees, but now has a community charter allowing anyone to join who lives, works or worships in the counties ELGA serves. Since the beginning, ELGA has made a local difference with their presence. Donations in the millions of dollars to hundreds of causes and charities through the decades is evidence of its benevolence and bountiful kindness and compassion for people.